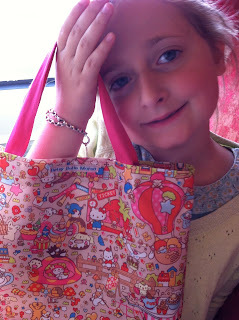 We were on the 7.30 train to the Big Smoke with a quickly knocked up Hello Kitty bag full of snappin. 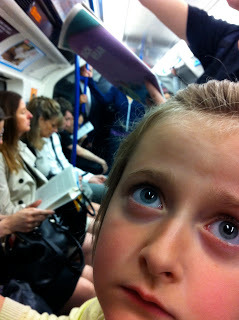 The Tube is just a load of smelly armpits when you are seven and short and everyone is pig ignorant. 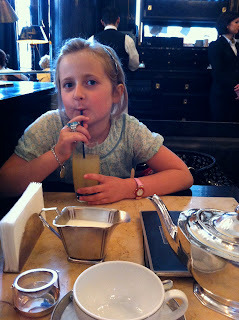 Eggs Ben at The Wolseley. 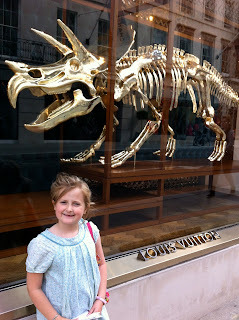 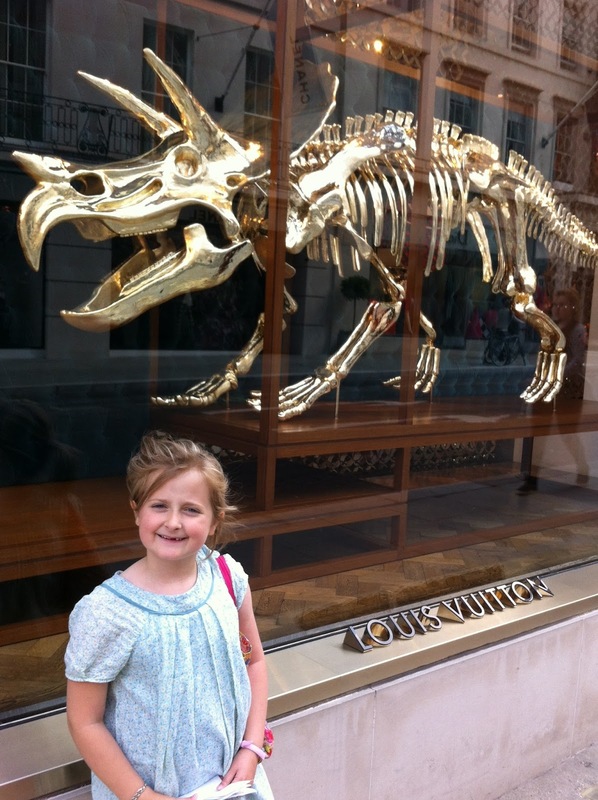 Window shopping down Old Bond Street. 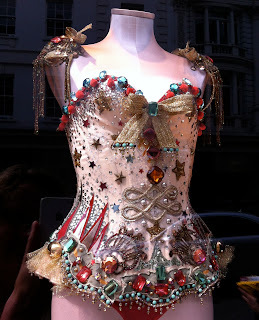 Victoria's Secret, Betsy's favourite runway show outfit! If you take a seven year old advisor underwear shopping you will come out with something sparkly. 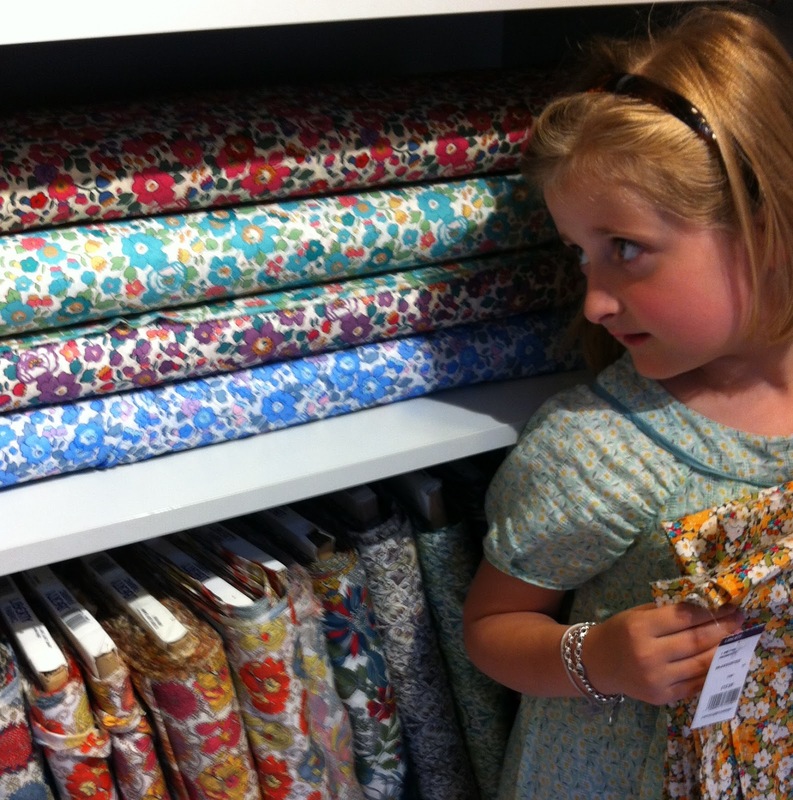 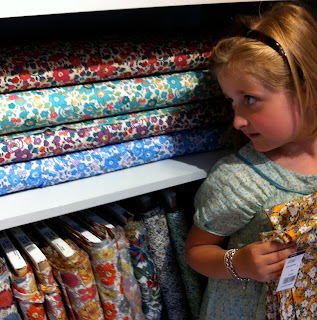 Liberty to drool over the Betsy fabric, there is now a Betsy Ann which just seems to be a smaller scale Betsy. Hawk-eye spotted a Hello Kitty remnant, they haven't had it in for about twelve months. 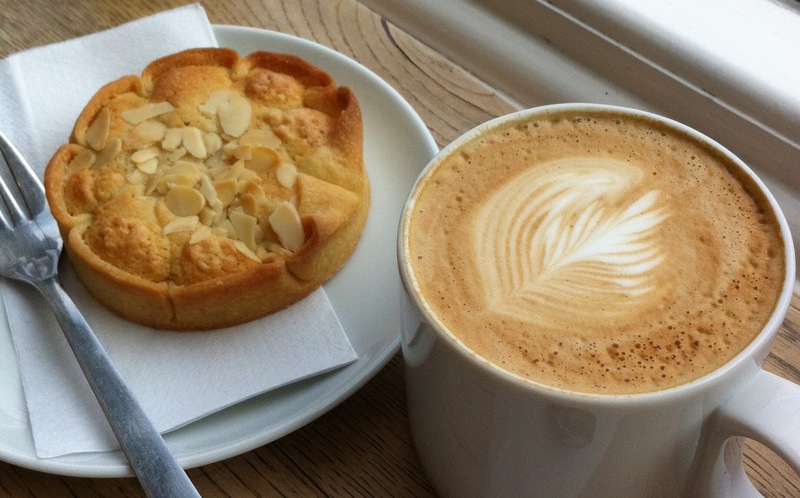 Ray-Stitch didn't have the entomology pins that I went in for so I ended up with a pretty decent Bakewell instead.